From the election of the first female state senator to the dangerous Hole-in-the-Rock journey pioneers took to reach civilization. It Happened in Utah looks at intriguing people and episodes from the history of the Beehive State. Find out how fast the first Pony Express ride to deliver mail from Salt Lake City to Sacramento really was. Learn how George Bradley's quick thinking -- and his long johns -- saved the leader of the first expedition down the Green and Colorado Rivers. 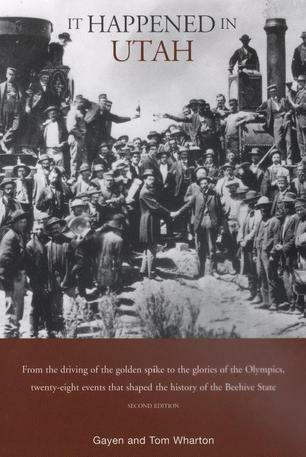 And discover how Butch Cassidy robbed a train in his hometown in front of hundreds of witnesses -- and even got away with it. In an easy-to-read style that's entertaining and informative, authors Gayen and Tom Wharton recount some of the most captivating moments in the history of Utah. Paperback, 2007, x, 156 p. : ill. ; 15 cm.